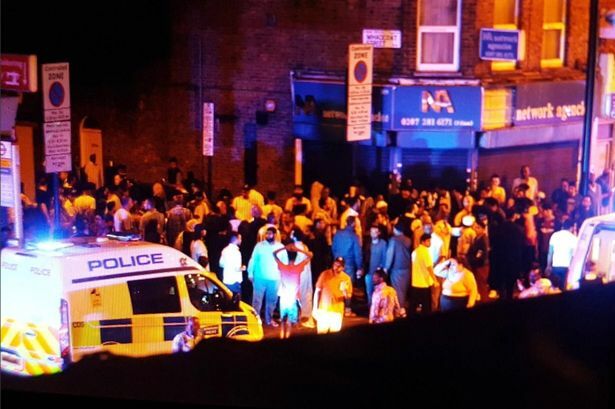 We at Croydon Islamic Community Trust condemn the horrific ‘terror’ attack on Muslims leaving a mosque after acts of worship in the Blessed month of Ramadan last night at Finsbury Park in London. The incident took place outside the Muslim Welfare House on Seven Sisters Road. According to eye witness accounts and videos taken after the incident, it appears that a white man, who has been allegedly known for his extremist white supremacist ideas and who is alleged to be a member of the EDL, intentionally drove a van at high speed into a group of worshippers who were already tending to someone who had been taken ill. This man then went on to make Islamaphobic remarks before being apprehended by people on the scene before police arrived. We do not know how many people were injured or killed, but our prayers are with the victims and families. We applaud the noble actions of the Imam of the Muslim Welfare House for his contribution in deescalating the tensions last night which have no doubt prevented further bloodshed and violence. He has genuinely shown the true image of how Muslims should deal with this type of hate driven ‘terrorist’ related criminality. We also applaud the tremendous efforts of the emergence services. We are grateful that we have such committed people defending OUR rights and keeping us safe. These people have been fully stretched over the past few weeks but have shown professionalism and integrity throughout. These are challenging times for all Londoners regardless of religion, race or any other description that separates us as one humanity. If you feel unsafe or weary in light of last night’s events, do not hesitate to immediately contact the Metropolitan Police. We do not wish to create a sense of unnecessary or undue alarm, but we would also ask all attendees of the Masjid to take care when visiting and leaving the Masjid. There are pockets of hate-driven individuals in every community who may take the previous incidents and the current climate created by the media and hate preachers on both sides, as an opportunity to behave in ways towards Muslims such as what we have witnessed last night and on several other occasions in recent times without any air time in the media. Unnoticed by the media another mosque in South London was also attacked last night allegedly by two white men screaming Islamaphobic slurs whilst throwing acid at worshippers. A defenceless 17 year old girl was also battered to death after leaving a mosque in America last night in what has been described as a hate driven crime. We pray that these totally unacceptable and unjustifiable acts of extremism influenced acts of murder and violence carried out on innocent Muslims will be condemned in the same manner that Muslims have uniformly condemned when a perpetrator is Muslim, and we put our trust in the protection of Allah alone. Finally, we are reaching out to all non-Muslim communities and media outlets, to join us in condemning these acts of evil and despicable criminality, and as such to help avert any kind of similar attacks towards the Muslim community living in London or elsewhere. You also share in the responsibility to fight extremism. We ask those in positions of responsibility to condemn acts of hatred against innocent Muslims and Muslim communities with the same vigour that we have condemned other acts of terror. This entry was posted in Article and tagged borough market, cict, Islam, ldn, london, london bridge, press release, Terror attacks by Admin. Bookmark the permalink.